The St. Alfio Society is pleased to announce the 3rd Annual Feast of the Three Saints Run for Scholars Road Race! This 5k road race will be held on Saturday, September 3rd, 2016 - over Labor Day Weekend in conjunction with the Feast of the Three Saints held in Lawrence, Massachusetts. Shirts will be available for all participants. There will be age group awards, and post race refreshments. The 5k road race will begin at 8:00am. The registration fee for the 5k is $25.00 online ($30.00 mail in) in advance and $30.00 on race day. Online registration will close on Thursday September 1st at 11:00pm, and race day registration will be available beginning at 7:00am at 20 Common Street, Lawrence Mass. 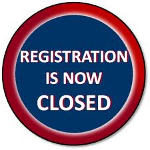 Online registration has closed, but you can register in race day. Beginning at 7:00am at 20 Common Street in Lawrence. Race day registration is $30.00 cash or check please. Allow enough time to park and be ready for the 8:00 start.